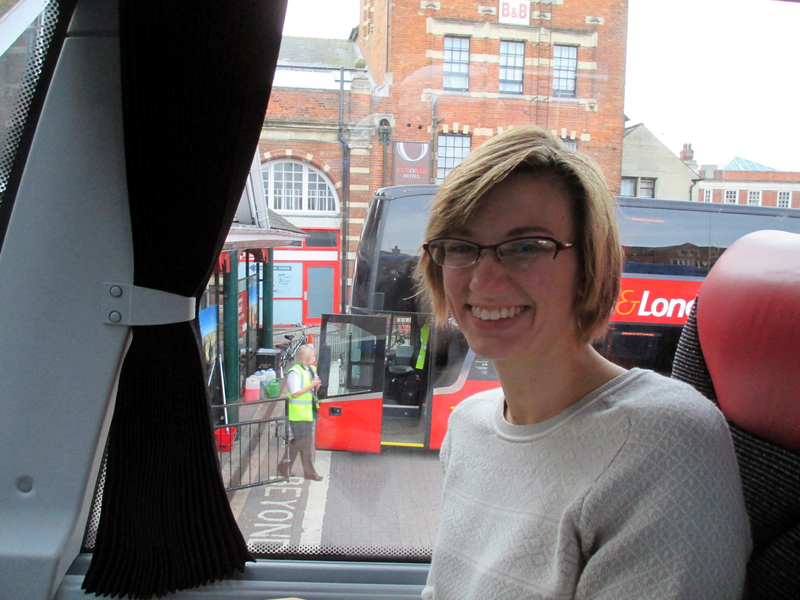 On the bus – finally! On Friday and Saturday (October 10 and 11) Bekah and I walked Oxford, principally at Magdalen College and the University Parks. On Sunday, we traveled to London to catch one of Mnozil Brass’ UK tour dates. 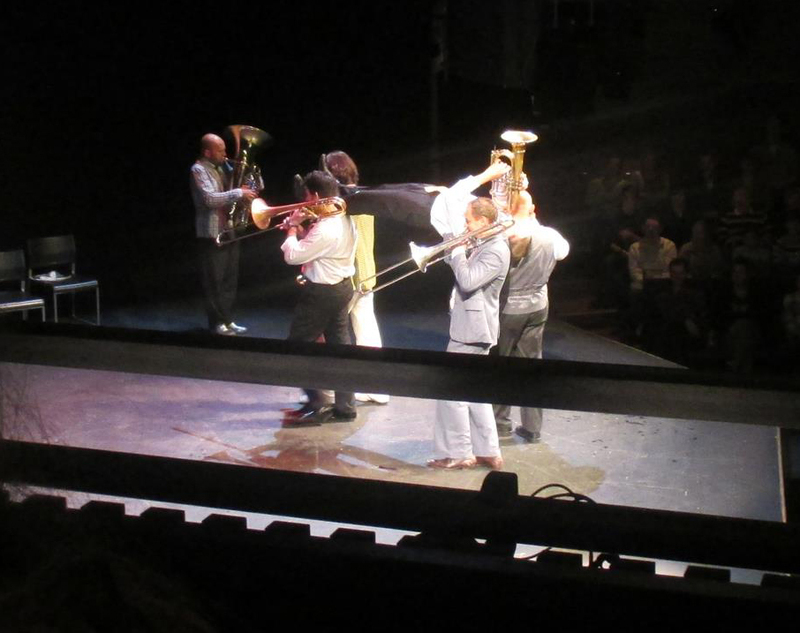 Mnozil, an Austrian brass band/Pythonesque comedy troupe, has been a favourite of ours for years. They haven’t toured the States in a while, and last time they did was on the east coast. So the opportunity to see them but two hours away was not something to miss, even if we had to cross an ocean first. 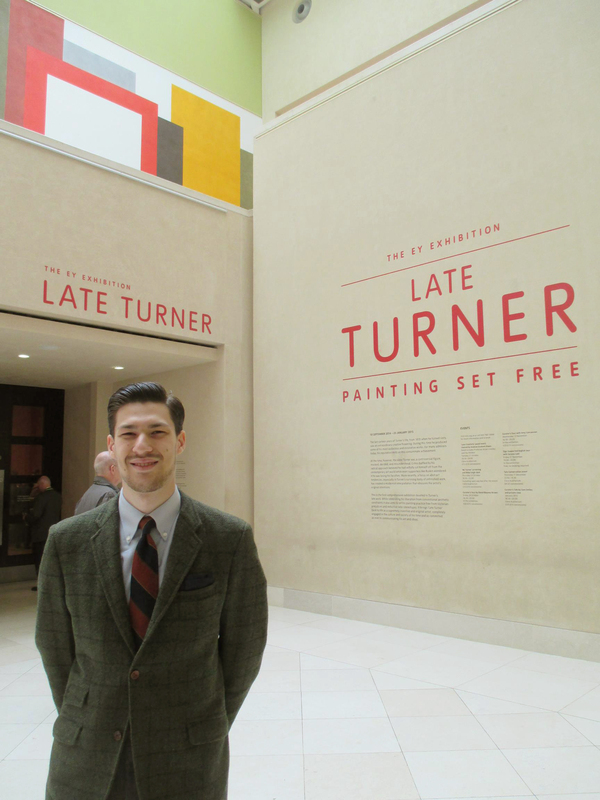 Further, Tate Britain was in the midst of their exhibition of the late paintings of J.M.W. Turner, one of my favourite artists. In almost every way which doesn’t matter, Sunday was a failure. In spite of all of that, it was terrifically enjoyable. Most of the woes centred around the British transportation system and its multiple failures. I said most of the day’s troubles were due to transport, but not all. The day began when I popped into Bekah’s room at 8:20am to see if she was ready for our 9:40 bus to London. As her alarm had failed, she was still sleeping. Twenty rushed minutes later found us hurrying around Gloucester Green searching for the coach station. We’d both used the station before, but for whatever reason got turned around that day. Thankfully, a passing woman pointed us in the correct direction and with at least a couple of minutes to spare, we purchased our tickets and boarded the X90 to London Victoria Station. 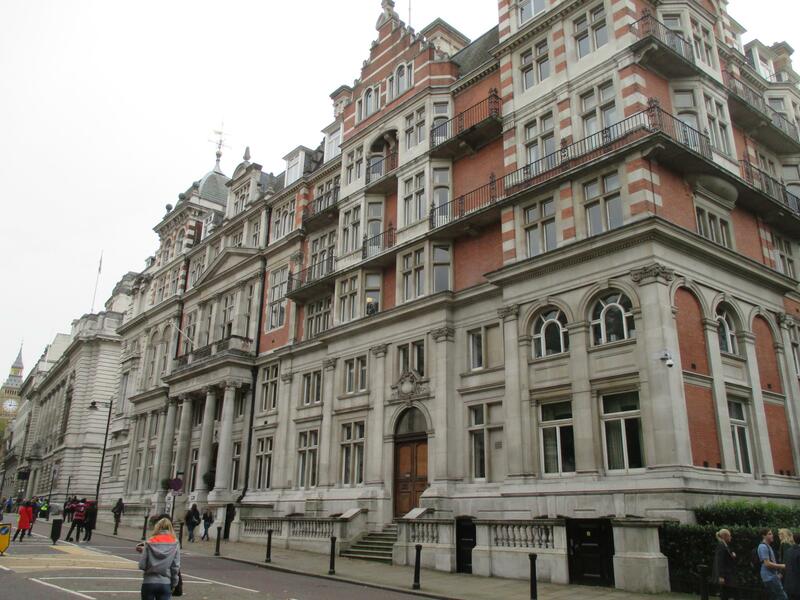 An uneventful hour’s drive later, we began enter London proper. Aside from what we saw on our trip between Heathrow and Oxford, neither of us had been in the capital before. 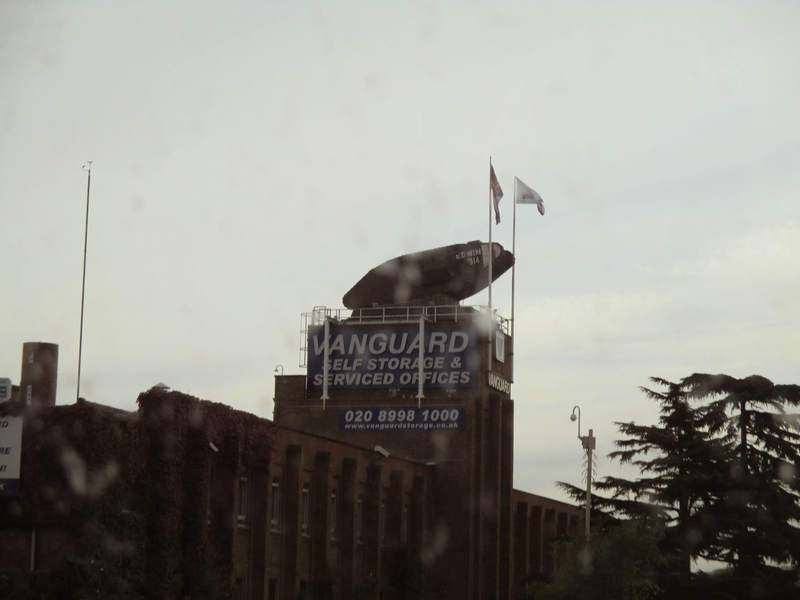 I was particularly thrilled to notice the use of a WWI Mark I tank as an advertisement atop a building. Our bus snaked into the city centre along the Thames, affording us a nice view of the river. The weather was grey and pregnant with rain (which would come in due course), giving the city an admittedly displeasing cant. This was a perception reinforced throughout the day, particularly as we rode out of London on the rail system. After disembarking at Victoria Station, we needed to make our way towards the Tate. Our train to the Mnozil concert departed Waterloo Station at 3:57pm, giving us about four hours to lunch, walk to the Tate, see the Turner exhibit, and find Waterloo. Our trip to the Tate took us past the Churchill War Rooms and Buckingham Palace. We stopped at the latter’s grounds shortly but not the former. 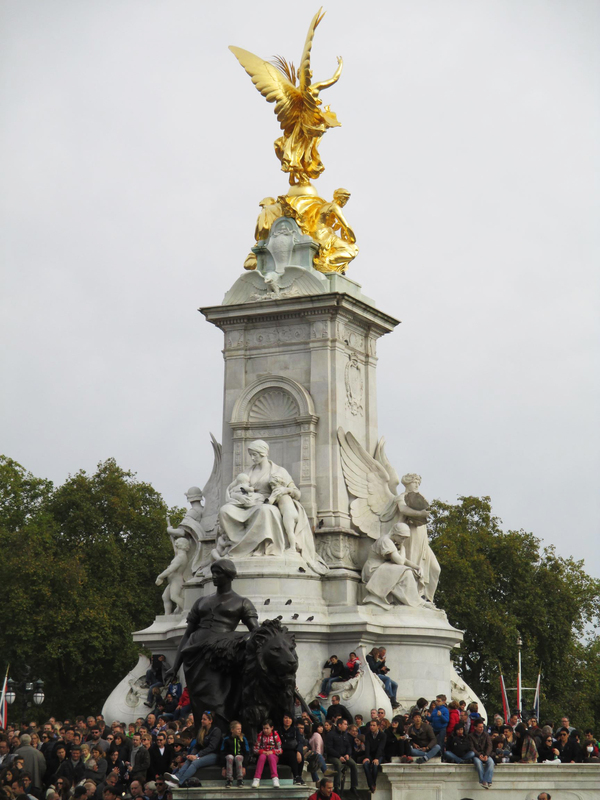 Because of our tight schedule, we intentionally forwent much of the London we wanted to see; we’ll plan at least one more day trip in the coming months. The London Marathon was happening whilst we were there, and although we didn’t see any runners, the area around Buckingham was filled with fencing to define the race course and control crowds. Nevertheless, we were still able to catch a glimpse of the famous red coated guards, see the Victoria Memorial, and see the general area. Adjacent to the palace is St. James’s Park. We decided to eat our lunches there as the remainder of the journey would be increasingly urban. The squirrels of the park are quite comfortable with humans; while we ate, several groups of people busied themselves by hand-feeding the squirrels. We were not tempted to emulate them. After more walking, we approached the Thames and with it, the Elizabeth Tower (housing the Big Ben bell) and the houses of Parliament. I posed for a picture with the British Bulldog, and we both did with Parliament. 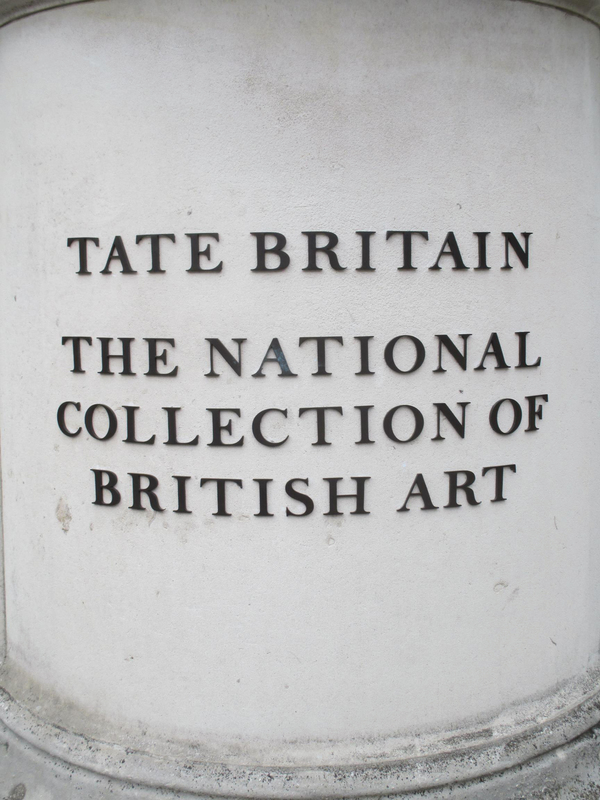 The Tate is perched on the banks of the Thames and houses Britain’s national collection of art. 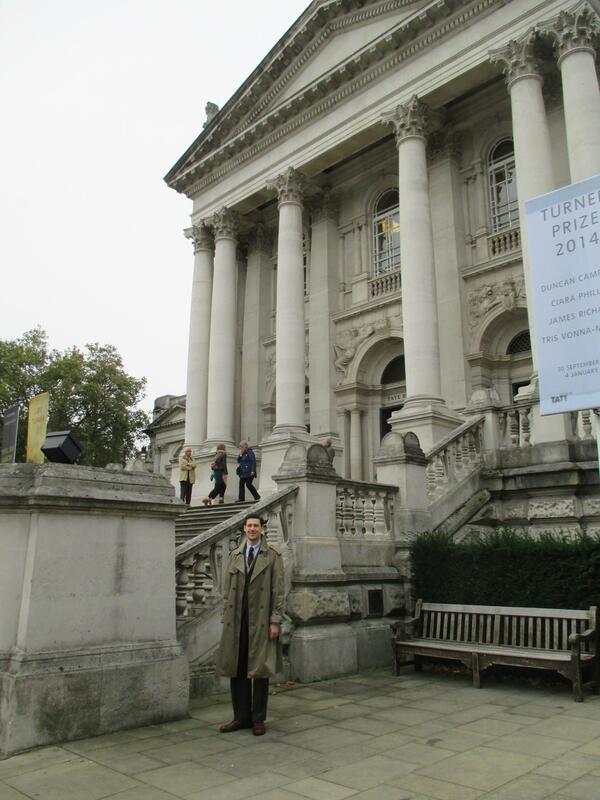 Again, while our time table prevented us from seeing anything but the Turner exhibition, we plan to return. In particular, I am excited to see the William Blake room, another of my favourite artists. 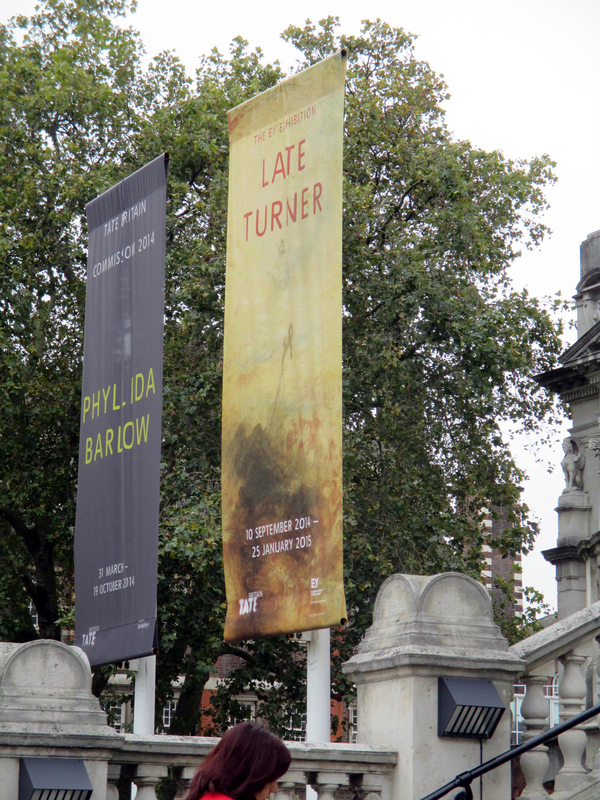 The EY Exhibition: Late Turner – Painting Set Free is the first exhibition devoted to the extraordinary [late work of] J.M.W. Turner. Bringing together spectacular works from the UK and abroad, this exhibition celebrates Turner’s astonishing creative flowering in these later years when he produced many of his finest pictures but was also controversial and unjustly misunderstood. By taking a fresh look at Turner’s late works, the exhibition sheds new light on his life and art. Challenging the myths, assumptions and interpretations that have grown around his later work, it reveals a painter as distinguished by the broad scope of his knowledge and imagination as he was by his radical and exploratory techniques, processes and use of materials. As much as he brought renewed energy to the exploration of the social, technological and scientific developments of modern life, in such icons of the machine age as Rain, Steam, and Speed – The Great Western Railway 1844, he remained as deeply engaged with the religious, historical or mythological themes that linked him to the cultural traditions of his era. In addition to those above, Tate has digitized 41,895 of Turner’s works for public browsing, as their website helpfully informs me. Although focused heavily on Turner’s travel sketches, the Tate website is well worth a look. Describing a singular work of art is difficult enough, let alone six rooms full of large and small painting. The largest works reached upwards of fifteen feet wide; the smallest were about six inches – mostly the travel sketches. In lieu then of trying to narrate my reactions, I’ll let the images speak for themselves, letting my readers bear in mind that the colours, light, and vibrancy of each work is inestimably more vivid in person than on a screen. We finished the Turner exhibition around 3:00pm and after a quick browse through the gift shop, headed back north along the Thames towards Waterloo Station, seeing the London Eye and Parliament along the way. 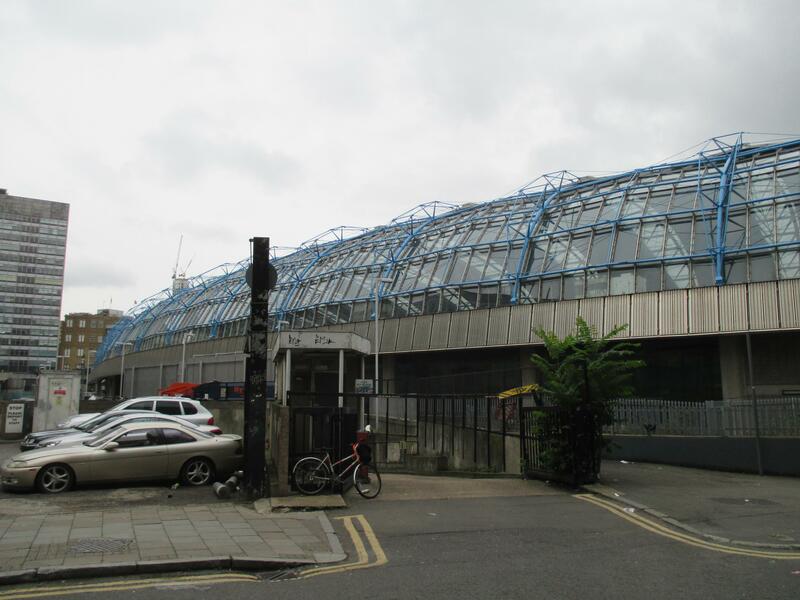 Waterloo Station is a very long building which, from the direction we approached, is difficult to enter. On our first attempt, we had started toward a drive which exited the station only to be stopped by screams and the sound of a motorbike revving. As we watched, a helmeted driver drove up and over the pedestrian ramp, spun the bike several times, and roared away – pedestrians dodging to and fro. I’ve no idea what exactly happened. Perhaps some kind of motorbike drag race or grandstanding. At any rate, it looked illegal. We beat a hasty retreat and found another entrance shortly. Thus began the next installment of our difficulties with the British transportation system. 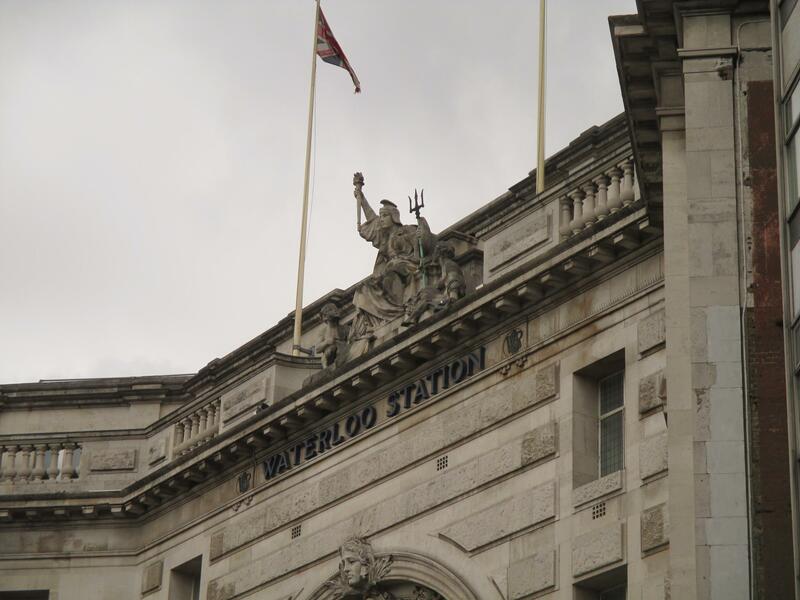 Bekah had bought the train tickets for Waterloo to Kingston station (the Mnozil concert was in a southwest suburb of London) the night before and, in lieu of the non-existent e-ticket option, had elected to pick them up at the station. As predicted, the reader would only accept a chip and pin credit card, leaving us to wait at the ticketing line for a real person. About five minutes later, tickets in hand, we looked to the boarding notices without luck: Waterloo to Kingston at 3:57pm was nowhere to be found. After consulting with a station attendant, we were informed that there was no Waterloo to Kingston train: rail maintenance. 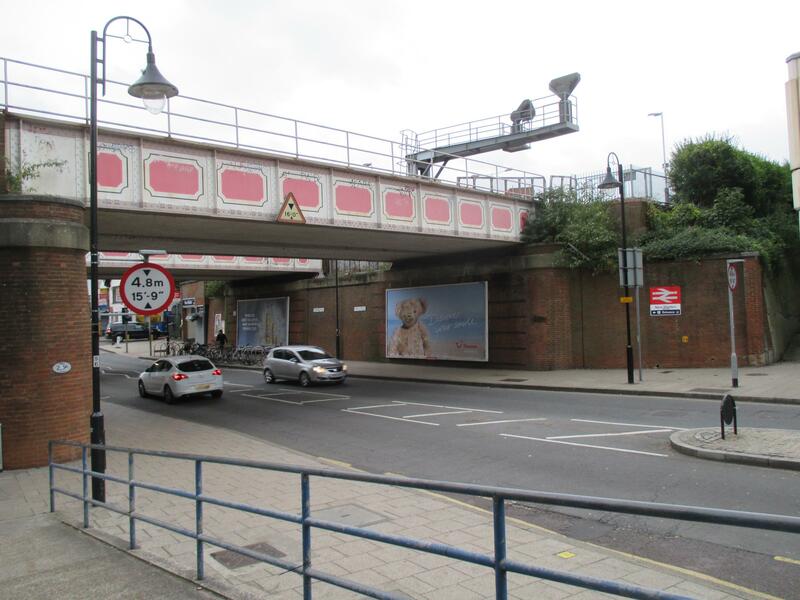 Instead, we were told to take a train to New Malden station, then take a replacement rail bus to Kingston. With some amount of trepidation, we walked to platform four to board. At the turnstiles: I swipe, walk through; Bekah swipes: nothing. A guard came over and began questioning her. Somehow, the tickets were for Monday, not Sunday; thankfully, the guard let her through. 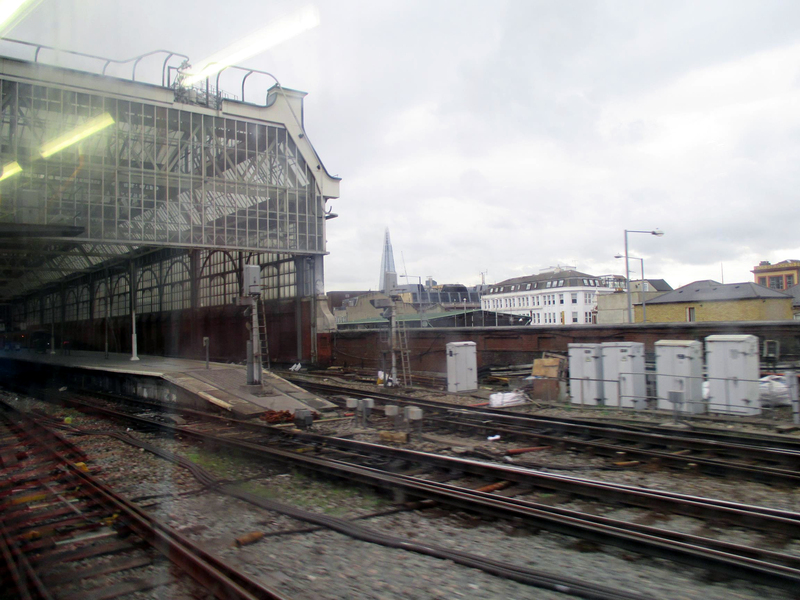 The train ride continued to lessen my estimation of London. The route we took was dirty and cluttered with scrap iron and rusted machinery. Indeed, parts of the route looked exactly like eastern Ukraine circa 1985, complete with half-built concrete buildings and hanging uninstalled electrical wire. The grey sky didn’t help alleviate the “late-Soviet” aesthetic. After a twenty minute ride to New Malden, we exited and found ourselves on an empty platform with little but trees surrounding. An enquiry at the help box told us that we ought to head down the stairs and find the Tesco grocery on the main street, then wait for a bus. We did so, and twenty minutes later, a bus appeared, taking us to the Kingston bus station (not train station). Luckily, the two were close, so our maps still pertained. By this point, the rain had begun, leaving us to slog a mile to the Rose Theatre. We had time to eat before, which we did so at Zizzi’s Italian. The food was good but the service slow. 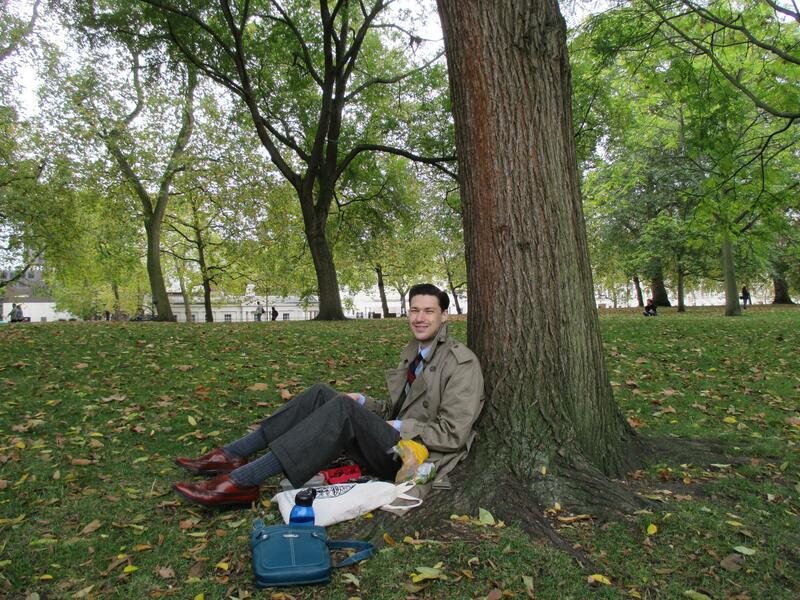 It was, however, nice to exit the rain and sit in warmth for an hour. At the appointed time, we crossed the street to the theatre and picked up our tickets. The theatre is fairly new, built as a modern take on an Elizabethan theatre: round seating, a shallow thrust stage, and seating in three levels (including a general admission ‘pit’ with pillow seating). After a few minutes of waiting, the lights dimmed and the band walked out, clad in outrageous outfits. I won’t give a blow by blow of the concert (I’ve included some of the songs they performed below). 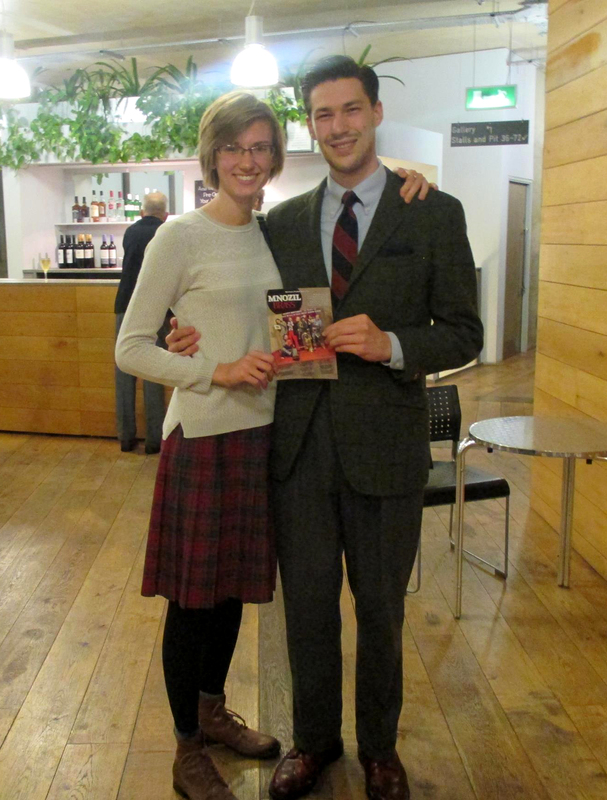 Suffice it to say that the concert was fantastic – as both a musical event and a comedy act. Mnozil had the audience – Bekah and I included – in stitches. I was particularly glad they performed each of the works I had hoped for, especially Bohemian Rhapsody. If you view only one video below, do watch that one. Upon reaching Victoria Station, we encountered yet more difficulty in finding our bus. Following the signs for the coach station, we were led to an empty street with no buses in sight, nor further signage. Returning to the station, we asked a guard, who told us we were in the right spot, only that we needed to keep going left and turn the corner. This has been a reoccurring theme in Britain. Signage directs one just as far as to make one lost; the place you want to find is always just out of sight, around the corner, or tucked away somewhere unobtrusive. An odd phenomenon, given that the British are quite overexcited to populate their motorways with excessive signage (who needs three signs 100 metres apart to tell you a larger sign is approaching?!). 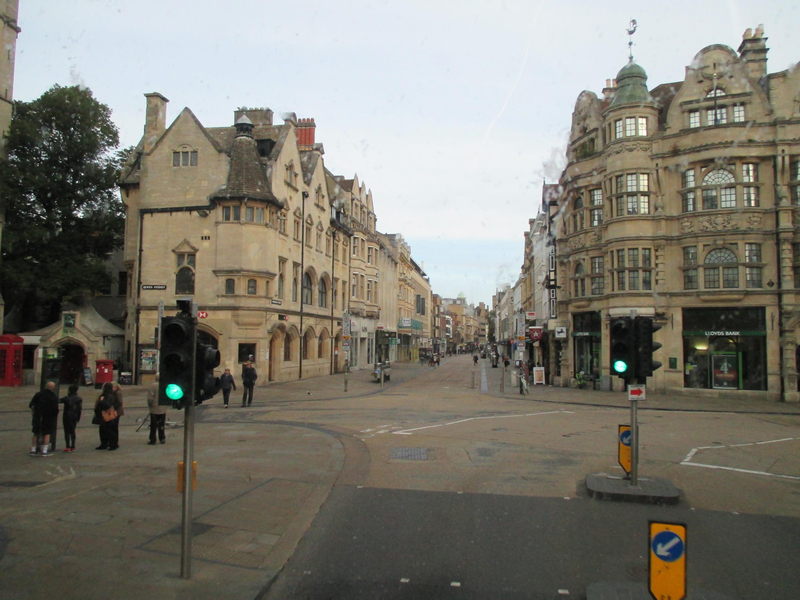 Eventually, we boarded the bus and found ourselves back in Oxford shortly before 2:00am. With apologies to Dr. Johnson, London had been tiring and to be entirely honest, not up to expectations as a city. Dirty, grey, and crowded, London showed itself poorly compared to Oxford and the other towns we’ve been to. However, I’m also cognizant that the difficulties we experienced likely shaped my view of the city and I am eager to give it another try (and give British Rail a chance to redeem itself). All told, it was a long, exciting, and somewhat stressful day.